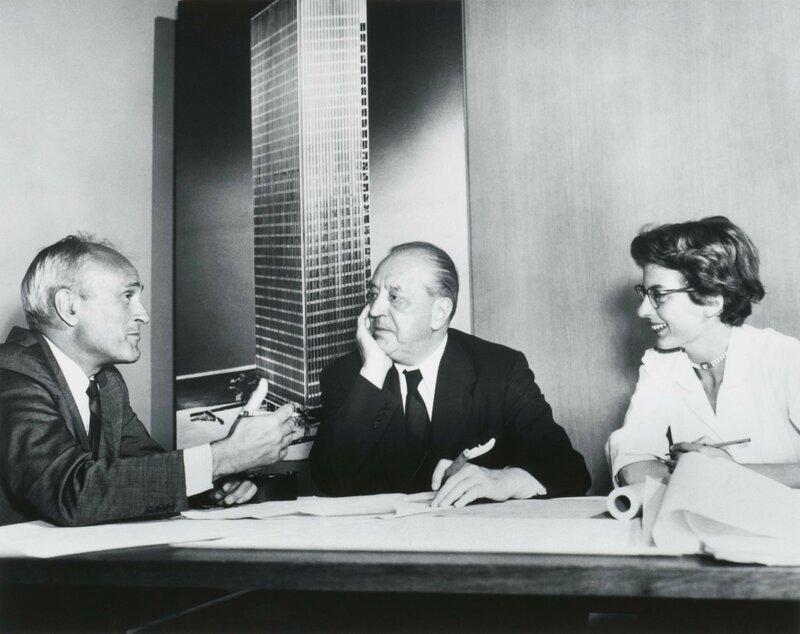 Lambert with Mies and Philip Johnson. The board of the Venice Biennale announced today that Phyllis Lambert is the 2014 recipient of the Golden Lion for Lifetime Achievement for the 14th Architecture Biennale, Fundamentals. Best known for championing the selection of Mies van der Rohe to design the Seagram Building for her family and for founding the Canadian Centre for Architecture, Lambert has worked as an architect, author, curator, and advocate for contemporary architecture and historic preservation. Not as an architect, but as a client and custodian, Phyllis Lambert has made a huge contribution to architecture. Without her participation, one of the few realizations in the 20th century of perfection—the Seagram Building in New York—would not have happened. Her creation of the Canadian Centre for Architecture in Montreal combines rare vision with rare generosity to preserve crucial episodes of architecture’s heritage and to study them under ideal conditions. Architects make architecture; Phyllis Lambert made architects. She will be presented with the award on June 7 at the Biennale.